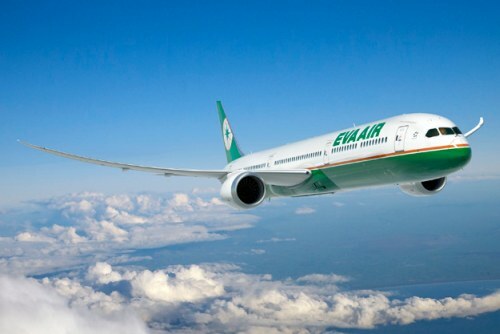 EVA Airways is offering a really unusual promotion. If you buy one roundtrip ticket from Vancouver to Taiwan, they'll throw in a second ticket for free, departing from Toronto. So, this promo would only be useful for someone from Toronto, who has a friend or family member in Vancouver that wants to meet up with them in Taipei, Taiwan. You would depart from Toronto and fly non-stop to Taipei, Taiwan. Your friend or family member living in Vancouver would depart from Vancouver and also fly non-stop to Taipei, Taiwan. You would not be on the same flights. IF the above scenario works for you, it could potentially be a pretty great deal for a non-stop flight to Taiwan on one of the top airlines in the world. - Purchase a roundtrip ticket from Vancouver to Taipei, Taiwan (TPE) and receive a second ticket for free, departing from Toronto (YYZ). - Ticket purchase must be made before March 31st, the end of this month. - Travel must be for sometime between August 15th and November 30th, 2017. - To purchase this promo, you must buy it from an authorized travel agency for EVA Airways. Lion Travel in Richmond, BC is one travel agency that appears to at least be aware of this promo, according to their Facebook page. Their phone number is (604) 231-7331. I'm assuming almost any travel agency should be able to book this, but you may want to try ones that specialize in travel to Asia. Update 3/23 - I've heard from people who have said that Lion Travel is only offering Premium Economy fares for this deal, and their lowest prices are around $1200 CAD roundtrip. However, there appears to be another Richmond, BC agency that is offering the Economy fares for $663 CAD roundtrip. The agency is Carrie Travel. You can find their Facebook page here. Their phone number is 604-231-0580. *If* it's based on current prices from EVAAir.com - *and* the second ticket is completely free, then, theoretically the price for both tickets would be as low as $910 CAD including taxes, working out to $455 CAD roundtrip for each passenger. I have yet to confirm that it's actually possible to obtain a price this low. toronto, yyz, asia, east asia, taipei, taiwan, tpe, promo and eva airways. 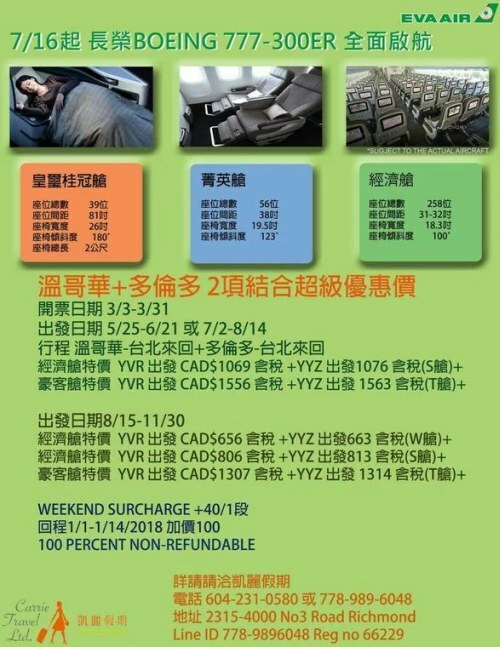 3 Responses to "Unusual EVA Airways promo - Buy 1 ticket from Vancouver to Taiwan, get 1 free from Toronto"
Couldn't the second Toronto traveller buy a ticket from Toronto to Vancouver and use this promo? It's actually buy return trip from vancouver, get return trip from toronto for free (usually more expensive). Only to taipei. Only from canada.